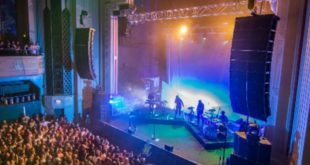 Britannia Row Productions has designed and supplied an audio control system centred around two Digico mixing consoles for Hans Zimmer’s current tour. 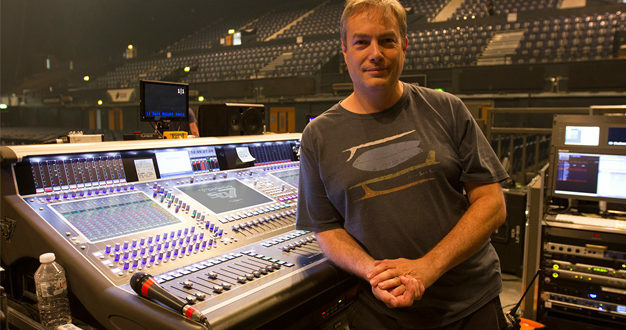 Designed by Brit Row’s Lez Dwight and FoH engineer for the tour – Colin Pink (pictured above) – along with monitor engineers Gavin Tempany and Jimmy Nicholson, the system includes an SD7 and an SD11 to cope with the huge input count. Hans Zimmer is one of the world’s most renown film score composers who has written over 100 scores and has been nominated for seven Golden Globes, seven Grammys and seven Oscars. The music for his current tour is selected from his extensive collection of work. The different musical genres, with big changes happening quickly in the middle of pieces, make the style of mixing more akin to a theatre production than a concert, for which Pink has found the Snapshot facilities on the desks very useful. The other SD7 sits at monitors with Tempany, whilst the SD11, operated by Nicholson, is used for sub mixing the choir and the orchestra. 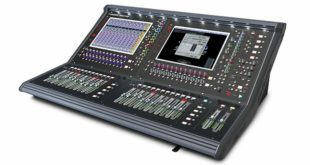 Three SD-Racks handle all the inputs on stage with MADI used for playback of special effects, layers, etc. However there was an issue, in that Tempany (pictured above, left) has 40 mixes to deal with at monitors and these outputs reduced his input channel counts, so he could not accommodate all the inputs needed. The solution was for Pink to take the inputs at FOH, except for stems of the choir and orchestra, which he gets from Nicholson (pictured above, right). 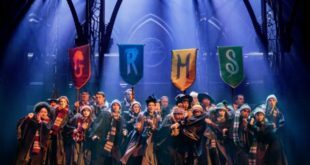 The tour has already covered the West coast of America, Australia and New Zealand, Scandinavia, Eastern and Western Europe and is now travelling around the US.